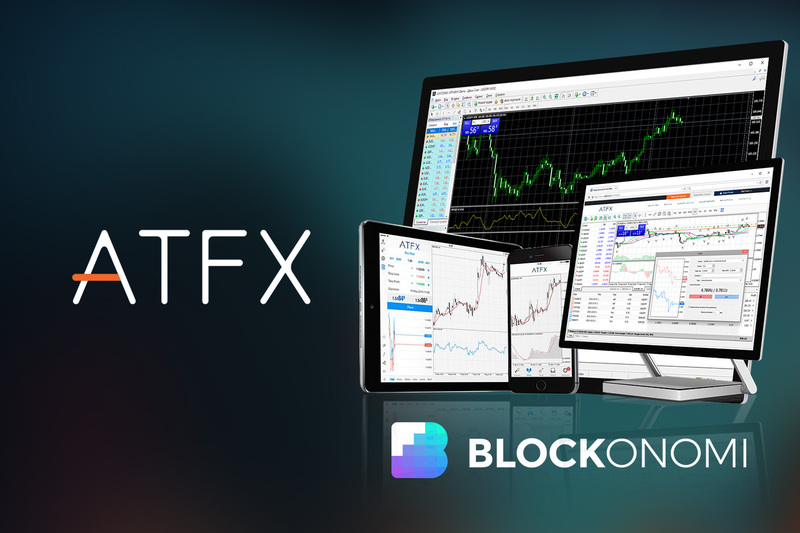 ATFX is a broker offering the ability to trade a range of assets and aims to make their platform simple to use with support for the MetaTrader 4 software. ATFX prides itself on offering competitive pricing for clients. Trading with ATFX gives clients access to an FCA-regulated broker for trading CFDs and forex. The goal of ATFX is to deliver the best possible trading experience. The broker has a client portal that is state-of-the-art and relies on the leading encryption systems. ATFX uses the most recent bridging technologies to get the best rates from its liquidity provider. The payment systems on ATFX are super-fast, including for deposits and withdrawals. The broker makes the process of opening accounts quick and easy, allowing for trading right away and also provides a free demo account for testing the system. ATFX also has a mobile application for trading on the go and convenience. It offers 24/5 customer service from an expert team. Clients can also enjoy full account management via the sleek client portal. The headquarters of ATFX is located in the City of London. They are in the heart of the city. The specific address is 1st Floor, 32 Cornhill, London EC3V 3SG, United Kingdom. Risk Warning: CFDs are complex instruments and come with a high risk of losing money rapidly due to leverage. 71% of retail investor accounts lose money when trading CFDs / Spread betting with this provider. You should consider whether you understand how CFDs / Spread betting work and whether you can afford to take the high risk of losing your money. 2 How Is ATFX Regulated? 10 How Do You Deposit and Withdraw Funds With Your ATFX Account? 30 How Does ATFX Protect Client Funds? 31 How Do You Contact ATFX? Since ATFX has its headquarters in the United Kingdom, it is regulated by the FCA. The official name of ATFX is AT Global Markets (UK) Limited. The Financial Conduct Authority regulates and authorizes this company. The FCA registration number is 7605555 and the company number is 09827091. The regulation and authorization from the FCA are for ATFX to be a CFD and FX broker. The FCA CASS rules authorize ATFX to hold client funds. As part of its FCA regulation and authorization, ATFX follows the agency’s strict regulatory requirements. These include the fair treatment of clients and the protection of client money. ATFX is also regulated in the Middle East and North America. Additionally, ATFX Global Markets (CY) Ltd. operates from Limassol, Cyprus. As such, this section of ATFX is under regulation from CySEC, the Cyprus Securities and Exchanges Commission. CySEC regulation provides access to the EU and EEA countries. Switzerland and the Middle East also have access to ATFX via CySEC regulation. ATFX is a global brokerage overall. That being said, it is not available to clients in certain countries of the world. These include Yemen, Vanuatu, Tunisia, Trinidad and Tobago, and Sri Lanka. It also includes Bosnia and Herzegovina, Iraq, Ethiopia, Syria, Sudan, DPRK, and Turkey. ATFX cannot be used in Cuba, Mexico, Japan, Brazil, Iran, Canada, or the USA either. It is best to confirm that ATFX is available in your country if it is not explicitly stated. You can do this by contacting ATFX directly. In addition to the regulation, ATFX complies with MiFID, the Directive on Markets in Financial Instruments. The European Parliament and Council adopted this on Nov. 1, 2007. MiFID regulates financial instrument markets for providing investment services as well as activities, specifically in the European Economic Area. This EEA includes all 27 member states of the EU in addition to Norway, Liechtenstein, and Iceland. The goal of MiFID was to harmonize financial market governance in the EEA. It also aims to improve financial transparency, efficiency, competition, and consumer protection. With MiFID, investment firms are able to freely offer services within other member state’s territories or those of third parties. The only requirement is that the investment firm must have authorization for those services. As part of its transparency, ATFX has a range of legal documents available on its website. This includes all documents related to compliance and regulation. Each is downloadable for convenience. They span categories such as general, CFDs, and spread betting. This is where to go for details on terms and conditions related to specific services and products. ATFX offers an Edge Account that has better spreads and faster speeds. It is designed for advanced traders and also includes additional latency reduction. This type of account has a minimum deposit of $5,000. It includes spreads starting at 0.6 pips and $0 commission per lot. There is a stop-out at 50 percent. Edge Accounts have market (STP) execution and maximum leverage for retail clients of 30:1. There are no requotes nor rejection. This account has Negative Balance Protection for retail clients. It also has slippage and allows both hedging and Expert Advisors. To opt for an Edge Account, you simply create your ATFX via the regular process. Once you validate the live account, you can contact ATFX customer service to switch to an Edge Account. If your Edge Account drops below the $5,000 equity minimum, ATFX may change it to a Standard Account. This type of account has limited availability. It is available in the United Kingdom, which includes England, Scotland, the Channel Islands, Northern Island, and Wales. It is also available in the European region. That includes most countries in the EEA. Professional client classification is also available from ATFX. Professional clients do not have to deal with the margin increases from the ESMA changes in 2018. The European Securities and Markets Authority restricted certain products for retail clients starting Aug. 1, 2018. Professional clients also have access to leverage of up to 200:1. There are no changes to tax status or requirements of products. Nor are there changes to client money protection. Professional clients do waive some FCA protections. These include a lack of negative balance protection and waived restrictions on CFDs. ATFX can also use sophisticated market language when talking to professional clients and assume higher experience levels. There are also changes to considerations for best execution. For retail clients, priorities are the transaction cost and the overall price. For professional clients, speed and execution likelihood also play a role. ATFX does have a demo account. This is a great way to get a feel for the offerings of the broker. It can also be a useful tool for beginner traders who need to hone their skills. Or advanced traders can use the demo account to test new strategies. There are three main deposit methods available on ATFX: credit or debit cards, bank transfers, and e-wallets. E-wallets include Safecharge, Neteller, and Skrill. All three methods support deposits in EUR, USD, or GBP. There are no fees for any deposits charged by ATFX. In the case of debit or credit cards from outside the UK, your provider may charge a small processing fee. ATFX will reimburse you for this fee if you provide a receipt to prove the charges. Deposits made with credit cards, debit cards, or e-wallets typically appear within 30 minutes. Bank transfers will appear in your trading account within a working day after ATFX receives the funds. ATFX offers the same withdrawal methods as deposit methods: credit or debit card, e-wallet, or bank transfer. As with deposits, there are no fees charged by ATFX and you can withdraw in EUR, USD, or GBP. Most withdrawals are processed within a working day, but ATFX is not liable for delays. Most withdrawals requests that ATFX receives before 2 p.m. (in the UK) get processed that day. Following processing, funds will usually clear between 1 and 3 working days. International bank wires typically require 3 to 5 more working days to appear in your account, depending on the bank. Withdrawals via e-wallets will typically arrive within 2 days. Refunds to debit and credit cards typically finish processing in 2 to 5 days. Remember that for compliance reasons, withdrawals must be returned to your original payment source. In the case of profits on trades from deposits made with a card, the extra funds will go to a bank account. You must also fully verify your ATFX account before you can withdraw funds. How Do You Deposit and Withdraw Funds With Your ATFX Account? To deposit funds into your ATFX account, just log into your account. Visit the Client Portal and select Deposit. Remember that ATFX will not accept third-party payments. This means that your deposits must come from your own accounts. To withdraw funds, visit the Client Portal again. Instead of choosing Deposit, select Withdrawal. Keep in mind that you can only request one withdrawal each day. This improves efficiency for ATFX. Depending on the country that you sign up for ATFX in, you may have access to a bonus. There is a $100 USD welcome credit promotion. This only requires opening up a Live Account and then depositing $200. Once you trade six lots, the credit becomes withdrawable. Keep in mind that this bonus is not available to all clients. European guidelines make it very challenging to offer bonuses. These are banned outright in the EU. One of the focuses of ATFX is offering forex trading. The broker offers 43 different forex trading pairs. Additionally, it constantly reviews its product range. ATFX strives to always offer the broadest possible range of FX pairs. Those pairs include majors, minors, and exotics. The forex market is available 24/5 on ATFX. ATFX also offers access to trading precious metals. Specifically, you can trade London Gold or London Silver, either of which is on a spot contract. This market remains open 23 hours each day and 5 days a week. ATFX allows opening sell/short or buy/long positions. The market is highly liquid. There is also the ability to use leverage as high as 1:20. Crude oil is another highly liquid asset that can be traded with ATFX. You can use ATFX to buy or sell commodity-based oil ETFs. There is a vast trading volume; in fact, it has the biggest trading volume of goods in the world. It also experiences regular price movements. You can trade indices with ATFX, with 15 types of shares indices from Asia, the U.S., and Europe. The spot indices on ATFX have low margin requirements and low spreads. There is access to 1-to-1 customer support 24/5 plus tight spreads and no commissions. Trading of this type of asset begins with a 0.10 lot size. There are also several cryptocurrency CFDs available. Finally, ATFX supports trading of 50 major shares CFDs from the United States and Germany. When you choose to spread bet with ATFX, there is no UK stamp duty or capital gains tax. There are also no commissions and spreads are competitive, starting at just 0.6 pips. Spread betting lets you speculate on the rising or falling markets. It also allows for trading on margin. Spread betting is done via MetaTrader 4. It includes tools to limit risk, such as stop-loss limit orders and balance protection. Spread betting is popular for traders who want to diversify their portfolios. It is also popular for those who want to trade with leverage and a small investment. Spread betting accounts have a minimum deposit of £100. The stop-out is 0.5 and the maximum leverage for retail clients is 30:1. There are no requotes nor rejection. There is slippage with both hedging and EAs allowed. The execution type of STP or market. Unsurprisingly, ATFX offers market order execution. Market orders are sent to the market, then executed at the market’s tradeable price. Following execution, the information regarding the transaction will go to the MT4 platform. The execution price for market orders is influenced by the amount of liquidity from banks and if it is enough. It can change rapidly. Remember that the MT4 platform will send the transaction instructions to the given MT4 server. ATFX offers a range of order types to choose from. Pending order options include Buy Limit, Buy Stop, Sell Stop, and Sell Limit. A Take Profit or Stop Less closes pending orders. All pending orders connect to company instructions within the server. The pending order is triggered, then transacted and executed in the form of a market order. This occurs when the market price reaches the correct point. It is important to remember that pending orders do not have guaranteed execution at their original price. When you trade with ATFX, you do not have to pay any commission charges. Additionally, AFTX prides itself on offering tight spreads that are highly competitive. This reduces the costs associated with trading and opening positions. The trading conditions on ATFX vary by asset. For convenience, ATFX offers an updated list of trading conditions for each individual asset. These are divided by category, such as forex majors, minors, and exotics. Other categories include metals, oil, indices, cryptos, and shares. There are also spread betting trading conditions outlined for FX majors, FX minors, metals, oil, and indices. For each product, you can view the name, minimum spread, contract size, and minimum and maximum lot size. Keep in mind that there are specific product specifications for each account type. Those include Retail – Standard Clients, Standard – Edge Account, and Professional Clients. ATFX has a No Dealing Desk policy. This reduces intervention from ATFX as a broker. That, in turn, improves the transparency of trading conditions. It also improves the trading environment. ATFX offers a list of default leverages for clients in its Trading FAQ section. FX majors and FX minors have default leverage of 1:200. FX exotics default at leverage of 1:50. Both gold and silver have default leverage of 1:200. Default leverage for indices is 1:100, except it is 1:50 for USDX. Default leverage is 1:100 for oil, 1:5 for cryptocurrencies, and 1:20 for shares CFDs. All trading on ATFX is done via the popular MetaTrader 4 platform. This platform has support for all types of devices, so every client is able to use it. Because of MT4’s popularity, there are also numerous guides and resources available online. MetaTrader 4 for Windows has multilingual trading support plus multi-currency support. There is also a VPS service for connectivity all day long. MT4 Desktop offers custom indicators and the ability to customize libraries, EAs, and scripts. This lets it meet a range of trading styles. 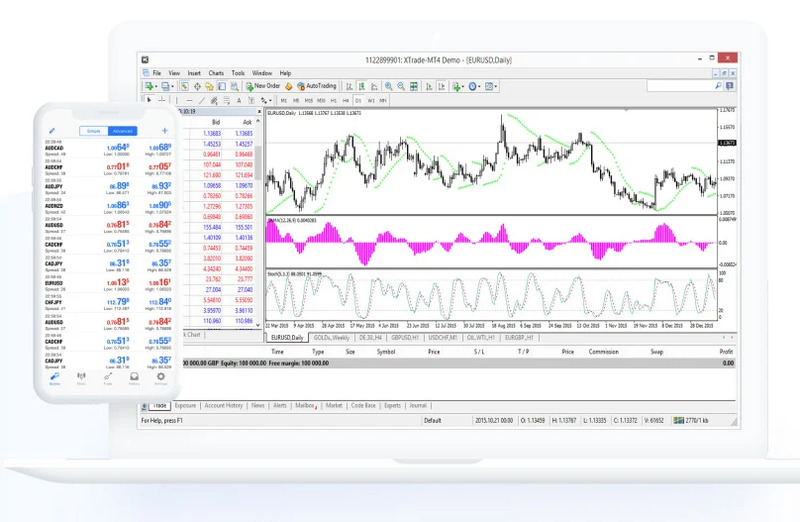 MT4 Desktop additionally offers cutting-edge charting tools. There are more than 50 indicators as well as over 30 tools to analyze charts. Furthermore, you can set parameters and display methods for every chart type and indicator. MT4 Desktop allows for diversification thanks to full support for a range of assets. The use of Expert Advisors allows for automated trading strategies. MT4 also has enhanced trading speed and is known for its robustness and stability. MetaTrader 4 also has a WebTrader which is optimized to maximize web-based performance. It works in all browsers and does not require any download whatsoever. This particular version of MT4 is designed for convenience. It is user-friendly and supports many languages. The WebTrader also includes one-click trading. It even incorporates real-time information, so traders can make their decisions with all the available information. It also includes the full flexibility of the Desktop platform plus advanced charting. The mobile trading platforms for ATFX are also versions of MetaTrader 4. You can download an application for either Android or Apple devices, allowing everyone to trade on the go. The iPhone MT4 application includes the most useful features, such as EAs and customizable indicators. The same is true for the Android application. Either mobile version has the full functionality and all of the tools of the other versions. It also has full multi-language support available 24/5. It includes real-time information that helps with the decision-making process. MT4 for iOS or Android also includes advanced charting, such as customization and rapid analysis. You get the flexibility to adapt to your trading strategy and full support for assets, allowing for diversification. To view all the products that ATFX offers on MetaTrader 4, visit the Market Watch window. When you right-click, select Show All. This way, you can find any asset and use the available advanced trading tools with it. If you want to insert a chart indicator, visit the top menu on the platform. Click on Insert and then select Indicators. Alternatively, you can go to Navigation and select Indicators. From there, you will be able to customize the indicator. It is also simple to create studies for movements like trend lines. Visit the top menu and select Insert. There, select your chosen trend line. You will notice a crosshair icon appear there. Move this icon to your chosen chart. You can adjust the trend line’s size by clicking and holding your mouse. There is also a quicker option. You can select Browse, then Toolbar, and Line Study. This will display the icon by the menu bar. Click on the Fibonacci Retracement, crosshair, or trend line for even more options. Trading Central is known for its top-tier technical analysis resources. ATFX clients get access to Trading Central features, helping with the full array of investment strategies. Trading Central is well-respected worldwide, conducting research for over 200 investment banks, professional dealers, brokers, and fund managers. It is used in 45 different countries. All ATFX clients get free access to Trading Central. The Trading Central access provides professional data analysis and technical strategies for a range of assets. These include indices, precious metals, currencies, and commodities. Strategies are updated ten times every day for each product for up-to-date information. To give traders confidence in the Trading Central information, it is part of three different associations for Independent Research Providers. These include Asia IRP, Euro IRP, and Investorside Research. Trading Central also has no investment conflict. It is a Registered Investment Advisor with the SEC (U.S.) and SFC (Hong Kong). The research displayed in Trading Central utilizes chartist analysis to determine targets and price direction. It also includes mathematical models to determine timing relevance and confirm directions. Trading Central additionally uses Japanese candlesticks and related signals to verify acceleration or reversal markets. Trading Central also includes advanced features such as adaptive candlesticks that recognize candlestick patterns in real-time continuation and reversal. It also has Adaptive Divergence Convergence based off the MACD indicator. This tool allows for the visualization of buy and sell signals right off the charts. To take advantage of Trading Central, you just download the installation package. There is also an installation guide if you need assistance. As expected from a broker, ATFX does indeed have an economic calendar. The broker refers to it as a “live forex news calendar.” The calendar is automatically updated so traders can have the latest information. It also includes the ability to check past events in the history. For each event on the calendar, you will see the time, currency, importance, event, actual, forecast, and previous figures. You can change the time zone or the dates you wish to view. There are also filters, including for country, time, importance, and category. Category includes options such as central banks, balance, economic activity, inflation, bonds, and more. Or you can search for a specific event by name by clicking on the Filters. ATFX has a full section dedicated to technical analysis. This includes market news and analysis for popular products such as oil, precious metals, indices, gold, crypto, and FX majors. Technical Analysis is posted several times a week. Updates focus on specific products and include predictions, influences, and more. To help traders make educated decisions, ATFX has a daily market report. This includes the latest overviews for sentiments and technical elements. The report has sentiment figures related to both small and large players. It also includes the main strategies and technical for traders, whether they are contrarian or conformist. This is a daily market report and you can download it right from the ATFX website. Past market reports are also available on the same page, including those from the last few months. The market reports are created by a third party. ATFX does not take any responsibility for the completeness or accuracy of the reports. Even so, the inclusion of the reports for ATFX clients is an incredibly useful tool. It can lead to a great deal of time savings in research or supplement a client’s other research strategies. In addition to the daily market reports, ATFX also offers Fundamental Commentary. This comes from the Market Analysis Research Team. It includes detailed, updated fundamental commentary. You will find articles related to fundamental moves, upcoming events in the economic calendar, and advanced economic indicators. These Fundamental Market Commentaries are weekly. They are also available for download in the Analysis section of ATFX. They include a number of older reports so you can view historic information. As with the market reports, the Fundamental Commentary is from a third-party and ATFX does not take responsibility for accuracy. The education section on ATFX focuses on webinars. You will not find e-books or the vast range of resources that many other brokers offer. There are, however, more webinars available from ATFX than many competitors offer. The webinars are free to ATFX clients but do require registration. The range of webinars helps clients develop trading skills or grow understanding of concepts. There are webinars for all skill levels, from professional traders to beginners. They are always run by professionals to provide a high level of accurate information. The list of webinars always includes the title, language, date, start time, and duration. You can also read a description of the webinar to help you decide if you want to register. The webinars include regular ATFX Daily Market Updates several times a week in English. You can also find webinars in Italian, German, Spanish, and other languages. In addition to the market updates, webinars can focus on useful trading skills as well, such as trading using RSI and moving averages or Fibonacci trading. Depending on the type of account you have, it is also possible to use a VPS via ATFX. The use of a virtual private server leads to more secure execution of Expert Advisors. That execution tends to be quicker with a VPS and more reliable. The ATFX Affiliate Program is designed to help clients grow their forex business. It includes transparent reporting with plenty of details plus competitive commissions and exceptional customer service. To make use of the affiliate program, you just register to be an ATFX Partner. Your website will be approved and you can get started. Take a look at the various ATFX marketing materials so you can increase your conversions. For every client you introduce, you earn a CPA commission. You receive the commission once the client meets a minimum trading threshold. There is also an Introducing Broker Partnership Program. This allows partners to earn rebates for clients they refer. There is no concern about complexities during the integration process into ATFX. You also do not need to make any up-front investment. As an Introducing Broker, you just introduce the client. ATFX takes it from there and you earn a rebate. There are no limits on the commissions per client. The rebate options are customizable and competitive. There is also a Multi-level Commission Payout mechanism. This means that every ATFX client referral case leads to gains. Every closed deal from your referral leads to a commission. You can also get earnings from sub-IB referrals. Commission payments are instant without hidden charges or fees. Partners also receive 24/5 live support from an assigned Account Manager. This support is multilingual. IBs even receive training to help them maximize profits. There are guides from experts depending on plans, business goals, and your competitive advantages. IBs also receive free access to Trading Central and other trading tools. Over the years, ATFX has earned numerous awards across various markets. It was named the Best NDD Forex Broker 2018 from the Online Personal Wealth AwardsMoneyAM. ATFX was also honored with Best Forex Customer Services 2017 at the Entrepreneur JFEX Awards and 13th Jordan Forex Expo. It was named the Top Forex Broker 2017 by Third Session of Chinese Foreign Exchange Brokers Annual Conference HT Financial. ATFX was also the Best Branded Broker 2017 from Shenzhen Huiyu Financial. It was also the Best Forex Broker 2017 at Tapei International FinanceWord Forum FinanceWord. The Global Banking & Finance Awards 2018 also named ATFX the FX Broker of the Year, UK. This is an addition to the Best Forex CFDs Broker title from the UK Forex Awards of Share Magazine. In 2017, the broker was the Fastest Growing Forex Broker, Europe 2017. How Does ATFX Protect Client Funds? ATFX has a strong commitment to ensuring that client funds remain safe at all times. The company uses the latest encryption technology currently available to protect data. This is combined with effective protection measures and strict supervision. The result is a trading environment that is safe and reliable. Additionally, ATFX segregates client funds in trust accounts. Its custodian bank is Barclays Bank PLC. Holding client funds in segregated accounts ensures the funds are always separate from those of ATFX. Furthermore, if something happens to ATFX and it becomes insolvent, your funds are safe. Since they are segregated, they cannot be used to reimburse creditors. To add to the protections in the unlikely event of insolvency, AT Global Markets (UK) Limited clients have FSCS coverage. The Financial Services Compensation Scheme is available to clients in organizations regulated by the FCA. The scheme comes into play in the rare case that ATFX cannot satisfy its repayment claims. In this situation, the FSCS provides as much as £50,000 in compensation per person for eligible investments. ATFX also has its own self-developed accounting system which is automatic. It ensures that withdrawals are only possible when the identity of the client matches the information on the account. For further finance transparency, ATFX has partnerships with EY, a professional audit organization. How Do You Contact ATFX? For the convenience of clients, ATFX offers multiple methods of contacting the team. There are main phone lines available on weekdays between 9 a.m. and 5 p.m., UK time. There is an 800 number from the UK and a separate number for calls from outside the UK. Or you can send an email to the relevant department. The Contact Us section of the ATFX website lists all. Email addresses are for general information, complaints/disputes, partnerships, support, and sales inquiries. You can also contact support via live chat in the bottom right corner of the page. One area in which ATFX is lacking is a help center. Most brokers have an obvious help center or section with FAQs. There is no such obvious section of the ATFX website. Instead, there are webinars and there is ready information for contacting customer support. There are some sections with FAQs, such as those related to trading. Overall, however, there is no convenient way to find information on other FAQs. It would be nice to have a dedicated section for information such as this. It would make it easier to open an account, fund the account, and do basic troubleshooting without contacting ATFX. Since ATFX is a regulated firm, it has a clear complaint-handling procedure. Any complaint is handled thoroughly. This includes a full response as well as an explanation. The staff at ATFX all undergo complaint-handling training. In most cases, ATFX is able to resolve complaints early on. In the rare case of an unresolved complaint, clients can sometimes refer to the FOS. This independent body has the purpose of investigating complaints made against regulated firms. The FOS will investigate your complaint and deliver a response. For the best results and least hassle, ATFX suggests only contacting the FOS following a final response from ATFX. To be involved in the community, ATFX sponsors some events. This includes The Duke of Edinburgh Cup, the China Event 2018. ATFX chose to sponsor this particular event since it began in the UK and is promoted in regions worldwide. Additionally, the Duke of Edinburgh Cup is a known charity that has Royal Patronage. The charity helps young people around the world. This lines up with the philosophy of ATFX, which further encouraged the broker to sponsor the event. This particular event is long-standing, with 18 years of events. Over 20 countries from five continents have participated and there have been over 134 tournaments. ATFX is a broker with its headquarters in the United Kingdom, specifically London. This broker offers trading for a range of assets, including forex, CFDs, and commodities. There are several types of accounts available, including for Professional Clients. ATFX offers competitive spreads and has no commissions. Trading is done via MetaTrader 4 with support for all devices, both mobile and desktop. Customer service is available 24/5. The range of deposit and withdrawal methods offers something for most traders. The area lacking we identified is the educational tools, this is something that other companies provide in great detail. We’d like to see them improve this for newer traders. If you are based in the UK, the spread betting option might be attractive to you as this method of trading is capital gains tax-free.